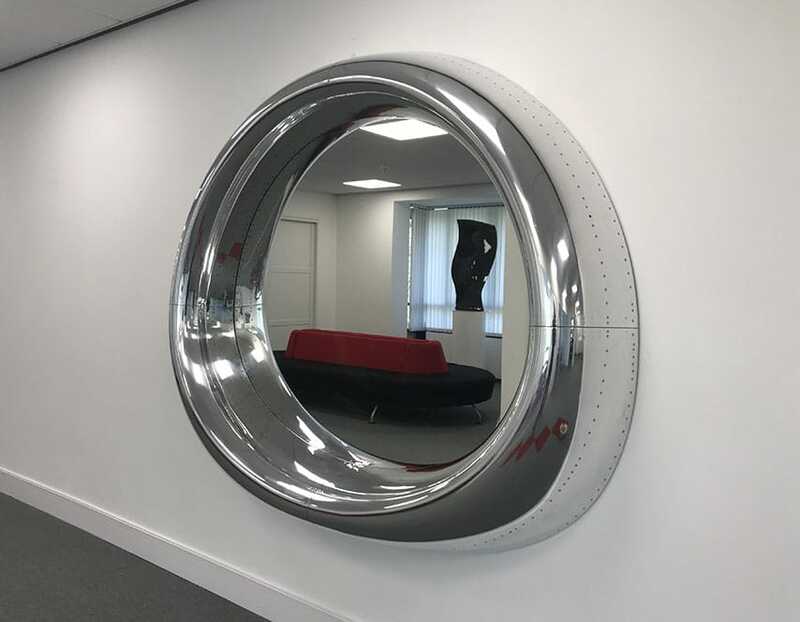 A beautiful, highly polished mirror from the legendary Sea Harrier jump jet. Available as a pair. 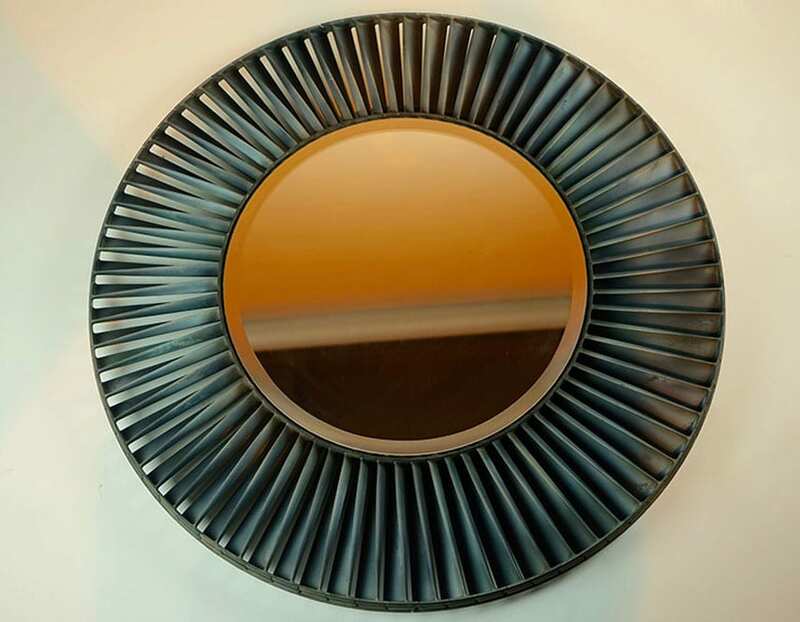 A beautiful, highly polished mirror from the legendary Sea Harrier jump jet. 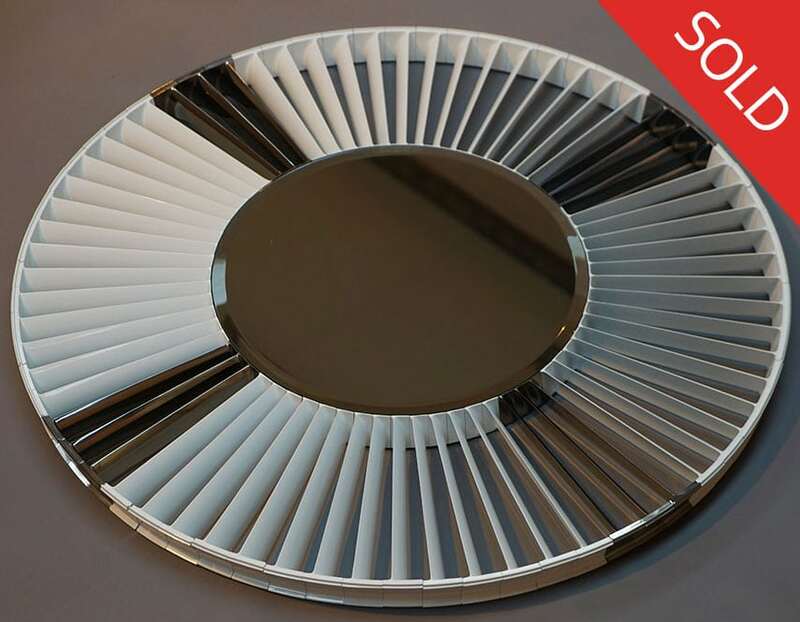 Our skilled craftsmen have created a very detailed, highly polished mirror from a compressor fan. 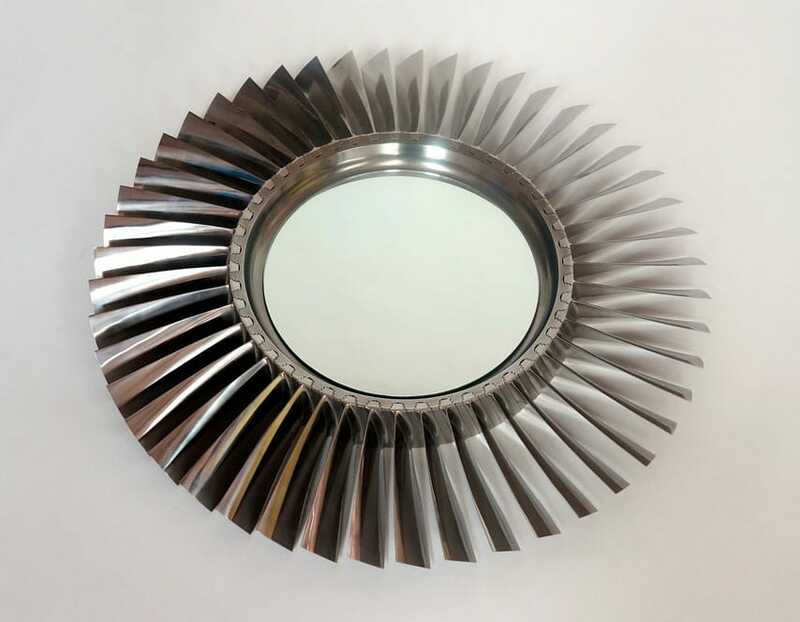 Many hours of skilled work has gone into creating this unique mirror. 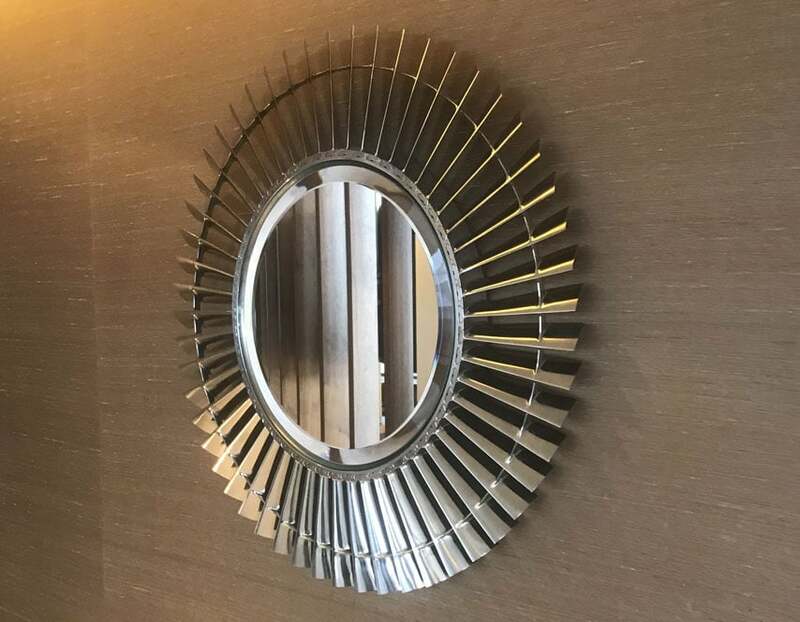 This mirror can be converted to a clock. 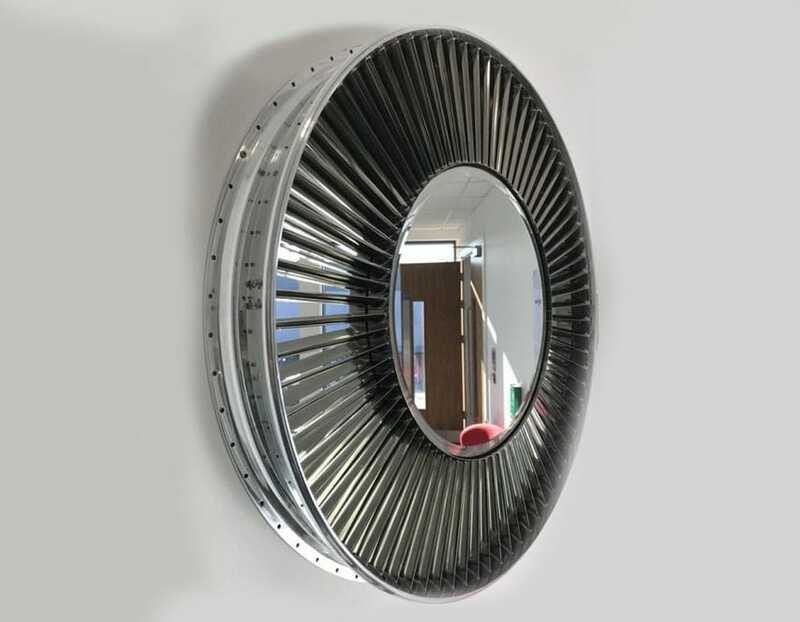 The bevel edged mirror is surrounded by 74 turbine blades. Lovely original patina. 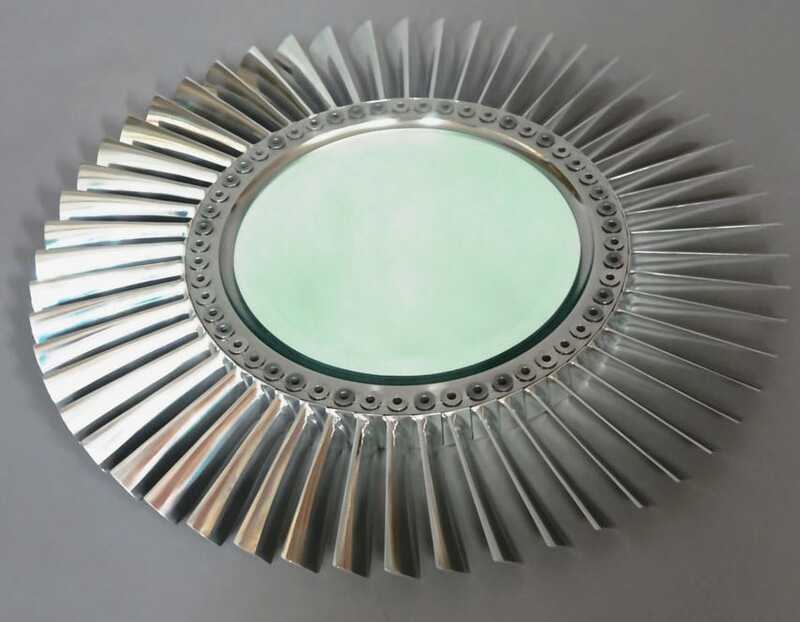 Crafted from a Pegasus (Sea Harrier Jump Jet) HP Fan, our skilled craftsmen have created a detailed mirror. 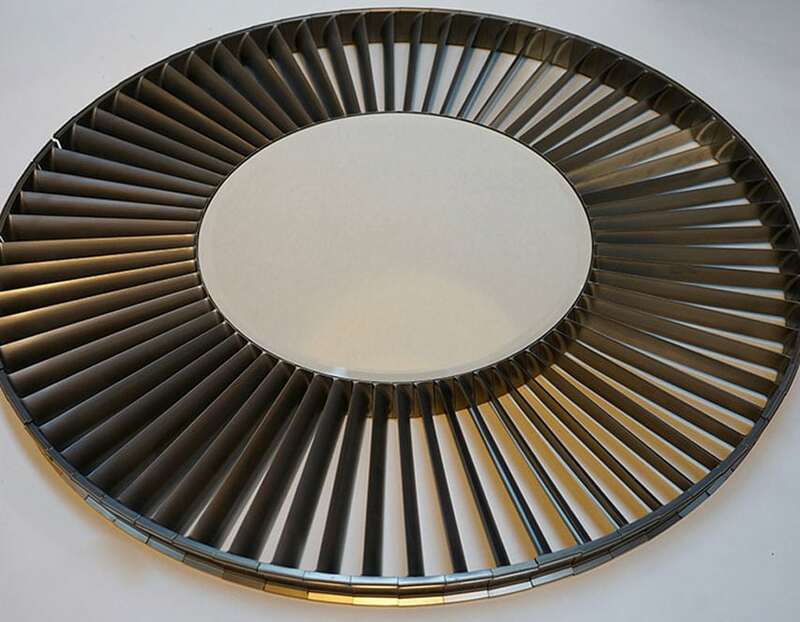 Beautifully crafted from a Military Specification Rolls Royce Spey jet engine. 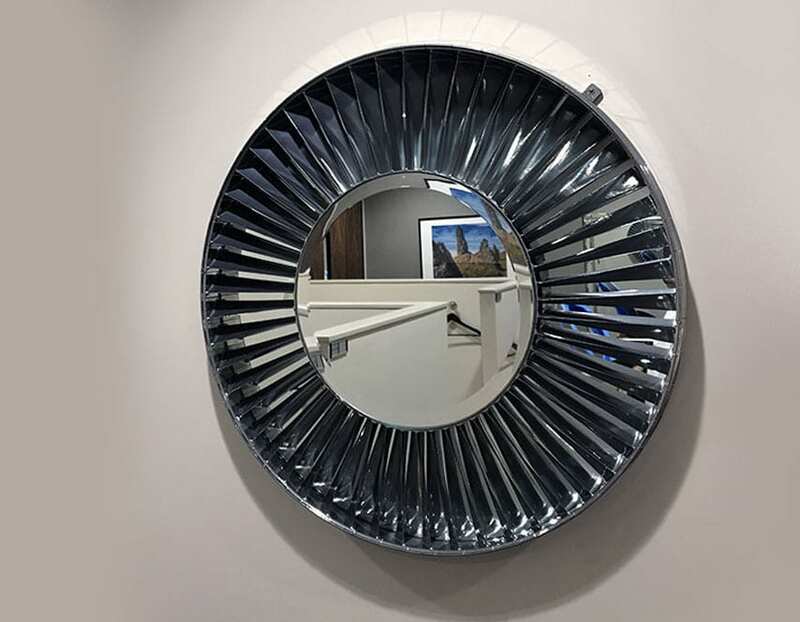 A highly polished engine cowling's leading edge, from a Dominie Twin Jet Business Aircraft. 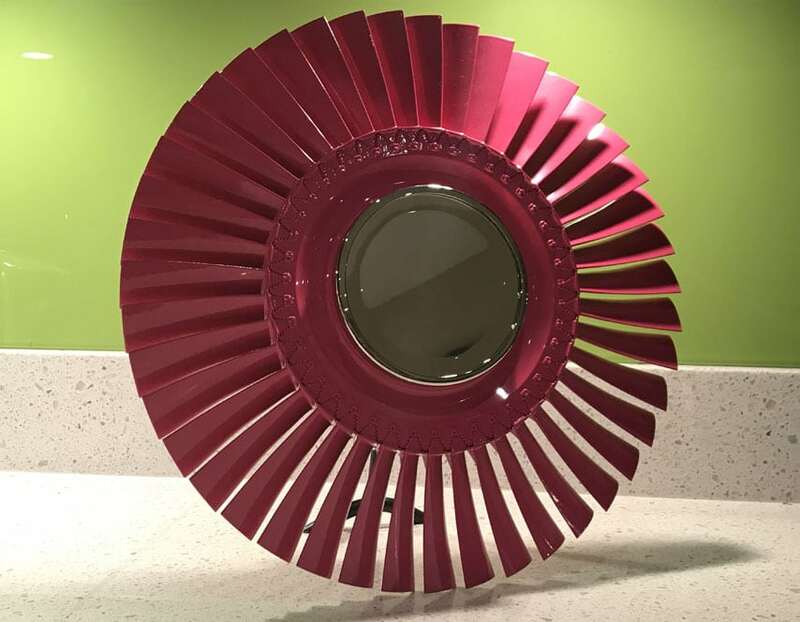 43 pink powder coated fans blades individually, mounted in its original hub. 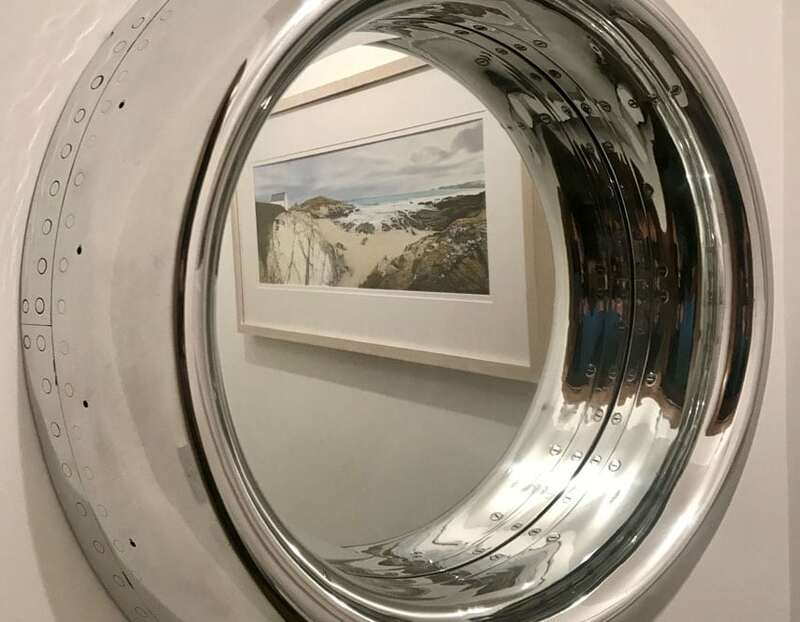 A superb highly polished engine cowling's leading edge, from a 737 Jet Fitted within the centre of the cowling a mirror. 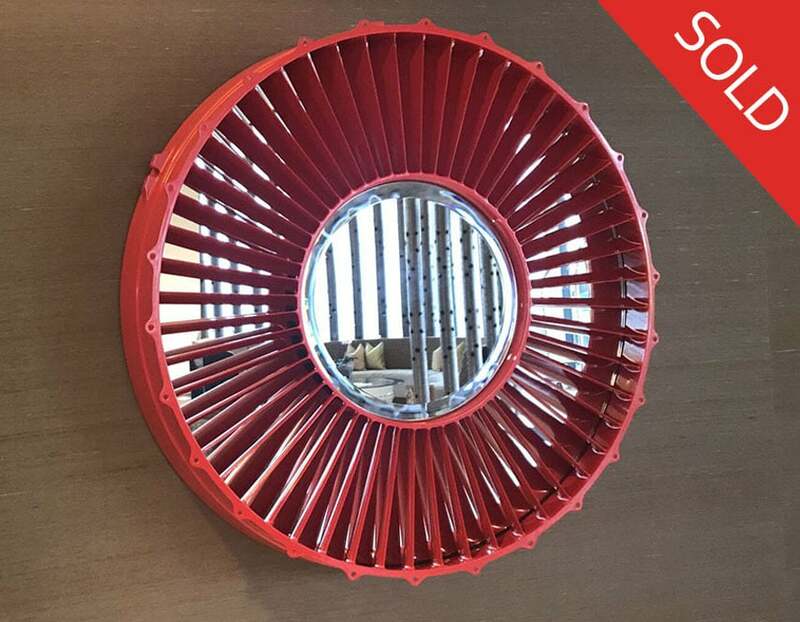 The titanium aircraft casing has been powder coated bright red. 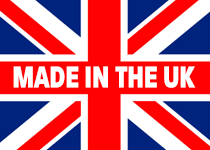 Item Sold - other colours available. 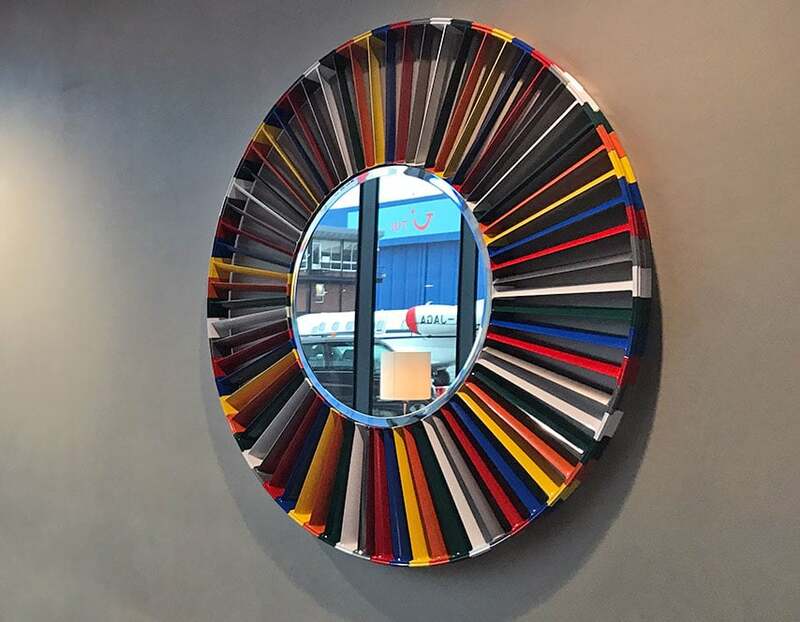 Many hours of skilled work has gone into creating this unique mirror. Item Sold - other colours available.